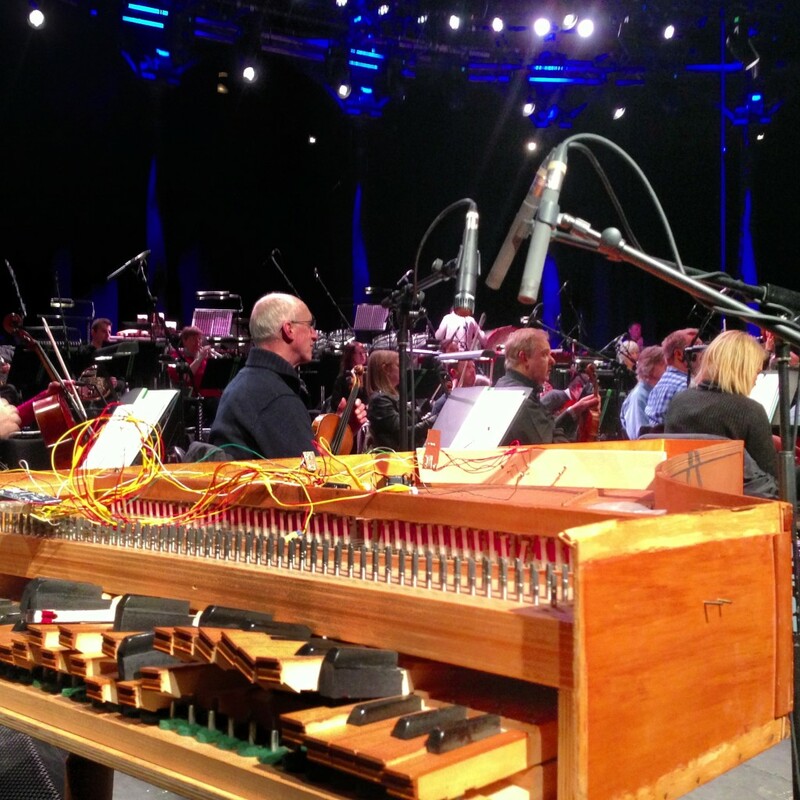 In March 2013 I performed an unusual set with the BBC Concert Orchestra and Matthew Herbert at the Roundhouse in London, as part of the “Baroque Remixed” series for BBC3. For this show I designed some custom software which would allow the orchestra to do a call-and-response with itself. This was used for Matthew’s special re-composing of a Rameau piece – at certain moments the orchestra would be able to stop playing, and the previous phrase would be played back to them. I was also able to get a hold of an old harpsichord, which I filled with vibration motors, solenoids, and servos, in order to make it buzz from the inside. It was a load of fun…however as you can maybe see from the photo above the delivery company managed to drop it on the way to the concert hall!